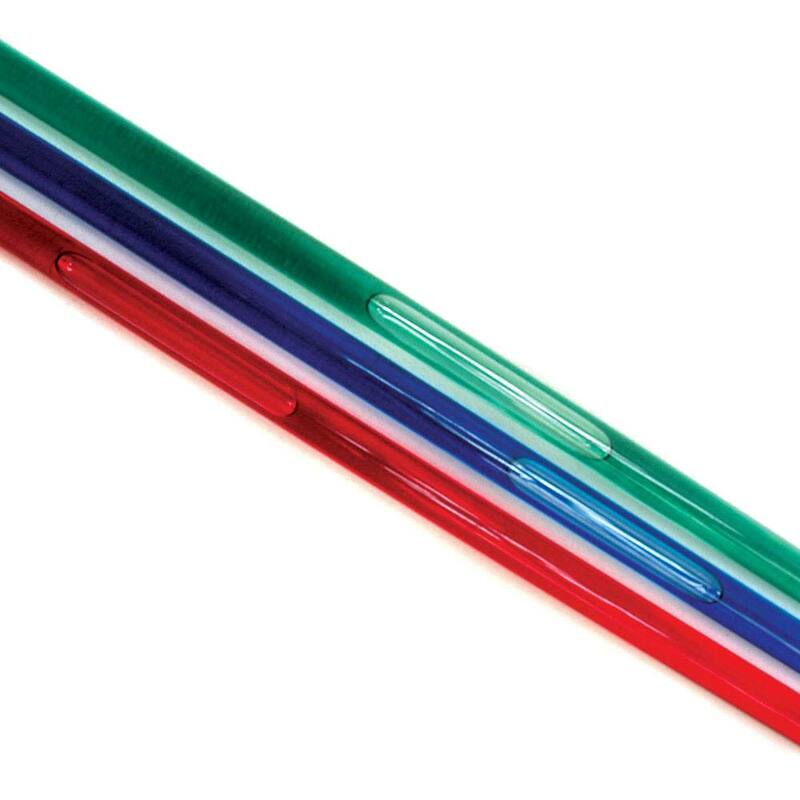 Speed of the Bubble Tube Set, Density: Educational Innovations, Inc.
Three long plastic tubes containing colored fluids with different viscosities. 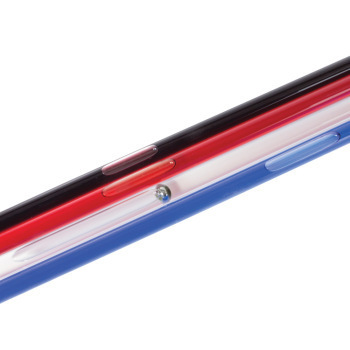 The Speed of the Bubble Tube Set consists of three 22-inch-long transparent plastic tubes containing colored fluids with three different viscosities. A bubble in each tube rises at a constant speed which depends on the type of fluid, the angle at which the tube is inclined and, to some extent, the temperature. 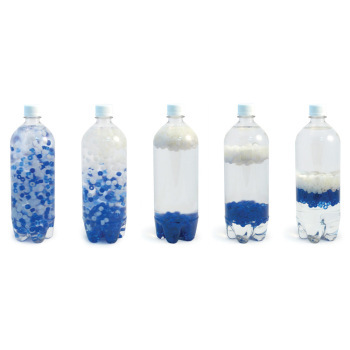 This great introductory activity gives students practice setting up experiments, graphing data and making predictions. Each set of tubes comes with complete instructions. Perfect for teaching the concepts of precision, accuracy, graphing, slopes, uncertainty and extrapolation. Great beginning of school activity for science students of all ages. We use these for a variety of activities in our motion and graphing unit. The students love using them. The only problem is that eventually you will end up with some that will leak, so look carefully so that you can deal with this as soon as you see a problem. 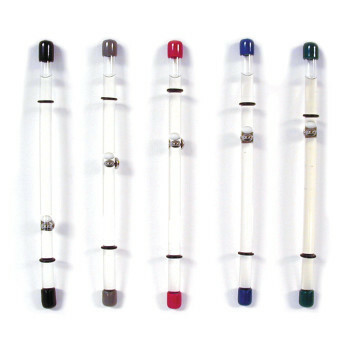 These tubes were great to use in a variety of measurement labs. The constant speed of the bubbles rising in the various tubes allowed for us to practice finding precise measurements and calculate speed, acceleration, etc. We have over 60 of these tubes for a great in class experiment, but we have found that even used gently, 1/10 will start to leak. Be ready with a sealant, as the experiments are still worth doing.